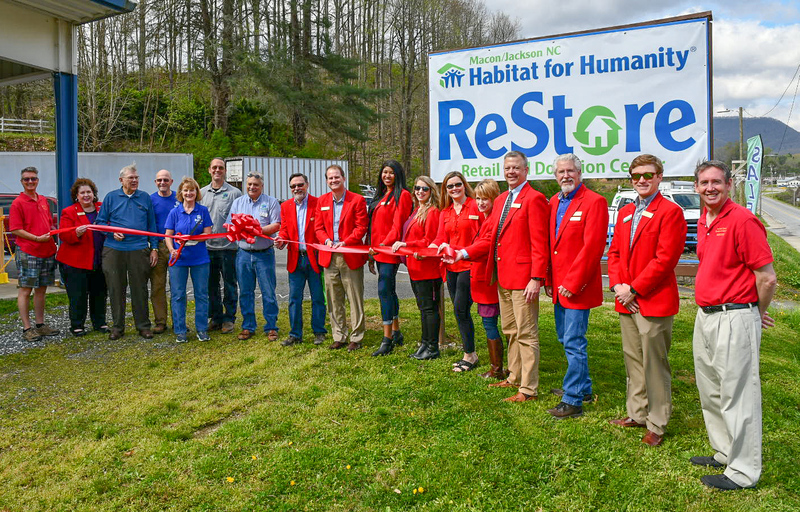 On Thursday, April 11, the Jackson County Chamber of Commerce Ambassador team held a ribbon cutting/grand opening ceremony for the new Habitat for Humanity of Macon/Jackson Retail Store. Located at 1315 West Main Street in Sylva (the former location of the Sneak E. Squirrel), the Macon County/Jackson NC Habitat for Humanity is a non-profit, ecumenical Christian housing ministry. Our mission is to eliminate poverty housing and homelessness from the world, and to make decent shelter a matter of conscience and action. Also, they operate Resale Stores. Hours of operation are Monday through Friday from 9 a.m. to 5 p.m. For more information, call (828) 369-3716 or visit the website at http://www.maconcountyhabitat.org. From left are From left are Chamber Ambassadors Karson Walston, Beth Bell, Habitat for Humanity's Max Holland, Dan Price, Debby Westerman, John Wert, Rick Westerman, Ambassadors Steve Baxley, Matt Saenger, Natalie Newman, Brandi Warner, Michele Smith, Colleen Sims, Brett Woods, Patrick Dowling, and Chad Gerrety. Concerts on the Creek at the Bridge Park in Sylva. Photo by Kelly Donaldson. Kayaking on the Tuckaseigee River in Dillsboro. Photo courtesy of the Dillsboro River Company. The view of Whiteside Mountain in Cashiers. Photo courtesy of Nick Breedlove. Located in the North Carolina Mountains and right in the midst of the Great Smoky Mountains, Jackson County is the ideal location for your next mountain getaway. Whatever it is you are looking for in your trip, we have it, from great accommodations, including cabin rentals, to wonderful activities, including rafting, hiking, fishing, golf, skiing, and camping. 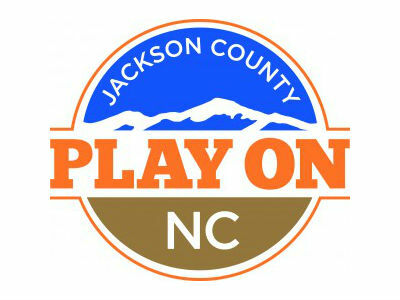 Videos of Jackson County, N.C. 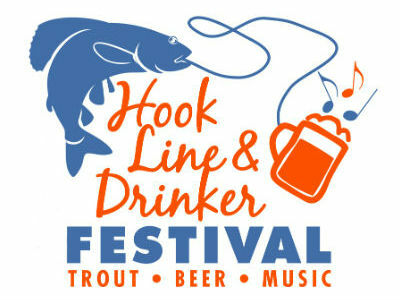 The annual Hook, Line and Drinker Festival is held each May in downtown Sylva. This event celebrates Jackson County being the home of the N.C. Trout Capital, the WNC Fly Fishing Trail and features the best in regional music, food and craft beer. It also features the annual pre-festival Tuck Trout Trot fun run/walk. The Jackson County Tourism Development Authority website has additional information for lodging, shopping, events, and more. The chamber works closely with the TDA to provide impeccable service to our visitors, local residents, lodging facilities, restaurants and merchants. 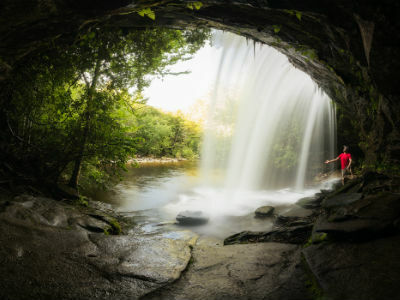 Two of the most popular features of Jackson County are the majestic mountains that surround us and the mesmerizing waterfalls that flow within them. Come experience them for yourself with an all-inclusive hiking trail and waterfall map that will help you find that perfect spot.